there are several prices to choose from. $39.95 FSFlyingSchool Pro 2013 - download from our web site. $19.95 FSFlyingSchool Upgrade to Pro 2013 from any earlier version - download from our web site. $24.95 FSFlyingSchool for X-Plane 10 Multiple Planes - download from our web site. $19.95 FSFlyingSchool for X-Plane 10 Cessna 172 Edition - download from our web site. $12.95 Voice Command Pack DELUXE for FSFlyingSchool Pro 2013 - download from our web site. $12.95 Cessna 208B Detail Pack for FSFlyingSchool Pro 2013 - download from our web site. $12.95 Cessna 182 Detail Pack for FSFlyingSchool Pro 2013 - download from our web site. You can pay with any major credit card you wish. You do not need PayPal. Our shop web page is providedbyPayPal, but you do not need a PayPal account to pay - you can pay with any major credit card you choose to use. When you are about to pay, you will be invited to log in using a PayPal account, but if you wish to pay with a credit card, simply scroll down to the section on that sameweb page which says "Don't have a PayPal Account?" and proceed to purchase with your credit card by entering your credit card details. How do I set up NAV1 and NAV1 OBS for an ILS approach? This video shows how to get the data you need for an ILS approach in FSFS and how to use it. How do I register FSFlyingSchool? How do I make the demo the full version? What does it cost educational organisations, schoolsand clubs? We're proud to announce that FSFlyingSchool has opened communications with educational organisations and clubs around the world to offer free versions of the product and discounts to students. Is the version on the PC Pilot Magazine CD current? The version on the PC Pilot CD was current at the time the review was written, but is no longer current. Please download the current version from our website - you will be getting lots of new features in the demo. FSFlyingSchool does a lot more than this - see our features list on our web site. Videos look great - how do I getinto theaction? Download FSFlyingSchool fromour web site http://www.fsflyingschool.comand install it. Read at least some of our manual so you'll understand what your instructor is telling you. Most importantly - read the section on Flight Modes. Then... take to the skies with FSFlyingSchool! What do other sim-pilots think of FSFlyingSchool? How about some independent reviews? Will it work with my favorite aircraft? How do I get the full details on FSFlyingSchool? FSFlyingSchool's demo comes with the full product manuals - packed with information on how to get the most out of FSFlyingSchool's impressive features. The manual is installed on your PC when you install FSFlyingSchool. It can also be viewed online at: http://www.fsflyingschool.com/download/FSFlyingSchoolManual.pdf. How do the High Scores work? You can compete with other pilots around the world by submitting your scores to our web site. Your scores for landing, flights and circuits are evaluated separately and you can compete in all 3 areas. The bigger and faster your plane and the worse the wind, weather and visibility, the better you will score. You need not submit scores to the web - they arestoredautomatically in your FSFlyingSchool log book. What's all this about aircraft system failures? In FSX with FSFlyingSchool Pro, your engines can catch fire...! How is the aircraft's clock used? FSFlyingSchool expects the aircraft's clock (which represents the time of day in the simulated world) to pause when the pilot presses pause oraccesses a menu item in Flight Simulator.If this does not occur, time is ticking by even though the pilot is not actually flying the plane - FSFlyingSchool does not encourage this sort of flight simulation. I have purchased the program - are you going to mail me a package? Once youpurchased the registration key, you just need to download the demo and then register it, thereby making it the full version of the product. If you already have the demo there is no need to download it, but we want you to have the current version of the demo; you can always check which version of FSFlyingSchool you have by going to the Credits page in FSFlyingSchool when it is running. Then go to the Credits page of FSFlyingSchool and copy and paste the registration information from the email we sent to you when you purchased the product. This will turn your program into the full version. Note - as explained on our forum and in the manual, if you are using FSX you must download and install FSUIPC v 4.9 or higher - this is all explained on our forum and in the manual. You can download the free version of FSUIPC- you do not need to pay for it. If you purchased the CD version - then of course you will be receiving a CD from us. What information should I gather to put answers to my questions on a fast track? The more information we have about your system, the sooner we can answer your questions, so please provide as much of the following information as you can. The good news is that FSFS is installed all over the world, running with FS2004 and FSX with no problems so we are sure we can getit running on your PC. Was this the first time you installed FSFlyingSchool - have you successfully run earlier versions of FSFlyingSchool ? Are you using a registered version of FSFlyingSchool? Could we ask you to send is some details about your PC? Is FSUIPC registered? (It does not need to be, but we need to know if it is). Names of any other Flight Sim add-ons running at the same time. Names of any other software applications running at the same time - we ask this because a number of programs such as Snag-It and Camtasia may conflict with key mapping. 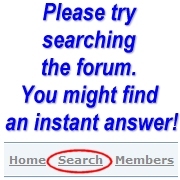 If you witness an error message, please press the Print Scrn (print screen) button on your PC keyboard to capture the entire screen and then PASTE that information into an email to us at info@fsflyingschool.com or submit it as a file to this forum if you are familiar with such tasks on your PC. To PASTE the screen capture, simply press Ctrl V while typing in the body of an email to us. The email will need to be in HTML format (not plain text). Please try to answer all these questions so we can help you get up and flying with FSFlyingSchool! What version of FSUIPC should I be using with FSX? This item relates to using FSFlyingSchool with FSX. It has nothing to do with FS 2004. FSFlyingSchool communicates with FSX via either the free or the paid version of FSUIPC v 4.9 or higher. If your system is running fine - don't change anything! You can use the free version - you do not need to buy FSUIPC to use FSFlyingSchool. Once downloaded, extract the files from this zip. At the time of writing, this zip contains a file called Install FSUIPC4.exe which must be run in order to install FSUIPC on your PC. If this operation is completed correctly, FSUIPC will appear as a program on the Add-ons menu inside FSX. This is a requirement in order to use FSFlyingSchool with FSX. I am taking off, but the instructor says "You're taxiing too fast!". Why? This is all explained in the manual's section on Flight Modes. In FSFlyingSchool, as in real life, it is necessary for the pilot to decide to takeoff. The pilot must prepare for takeoff, complete check lists, tell passengers, etc. This is accomplished in FSFlyingSchool by advancing the flight mode from taxi to takeoff. The manual describes this in detail, but you advance the flight mode by pressing Ctrl Shift Z or Ctrl Shift 1. At this point, the instructor will say "OK We've finished taxiing and are about to take off." If the pilot speeds up beyond taxiing speed without telling the instructor he/she is about to take off, then the instructor will criticize the pilot for taxiing too fast. FSFlyingSchool deliberately does not assume that the pilot is taking off simply because he/she is taxiing too fast. So... taxi at taxi speeds and when ready, line up with the centre line and then, when ready, advance the flight mode to takeoff. FSFlyingSchool does automatically detect its other flight modes of cruise and landing, but even these can be overridden by the pilot, by using the keystrokes described in the manual. Many customers program such keystrokes into their yokes or joysticks for convenience. Please be sure to read the manual as it contains a great deal of information which will make your experience with FSFlyingSchool much more satisfying.